I wrote about Patagonia’s sustainable denim a few years ago, which I was pretty excited to learn about. 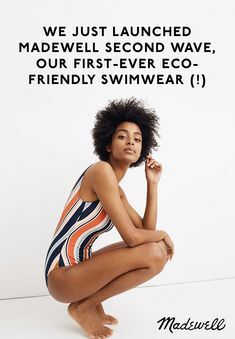 I have no idea how I didn’t know the brand was earth-friendly…but this is part of the point of my blog: to not only educate a few readers, but myself as well! It’s a fun market to explore. Anyway, the brand was founded by mountain climbers and surfers—people who had a strong appreciation for the world around us. 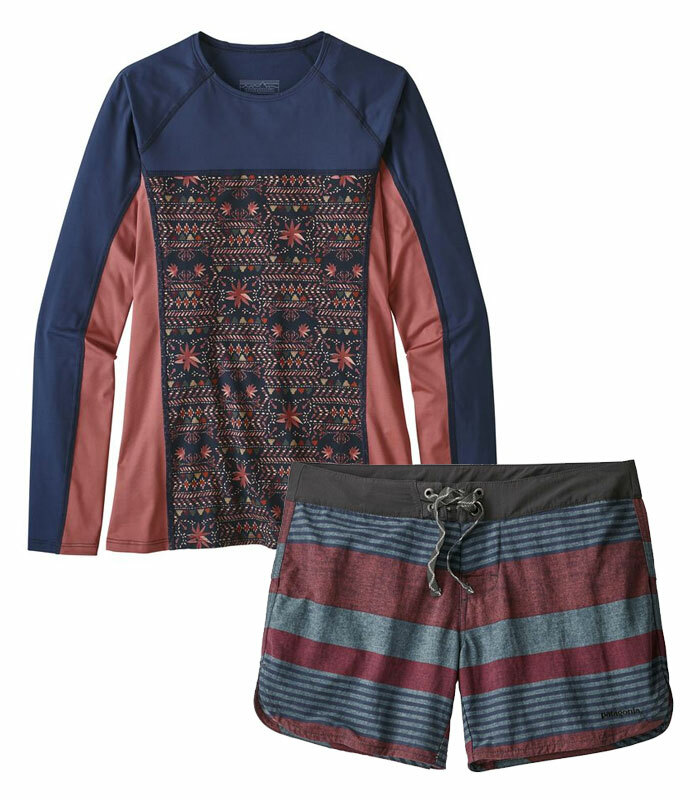 Patagonia’s swimwear collection, titled Patagonia Surf, offers several stylish yet classic designs for men and women, including swimwear, rashguards, and shorts. Everything is made in Certified™ Fair Trade facilities (view the full supply chain here), and made from recycled polyester and nylon. Nylon is actually more difficult to recycle than polyester, but through plenty of R&D and testing, the brand has found recycled nylon fibers suitable for apparel. The process isn’t perfect, so Patagonia is constantly searching for ways to improve it! Patagonia’s women’s swimwear also accommodates up to a D cup and includes a stay-put linking for slip-resistance when wet. 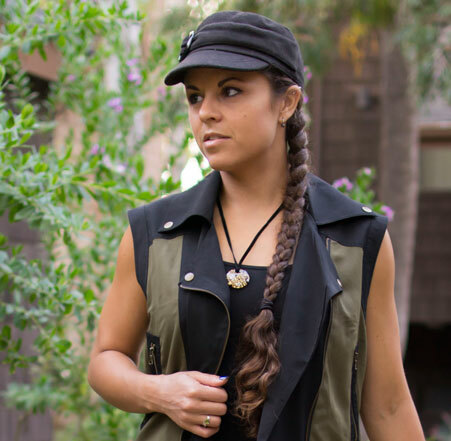 To top it off, this awesome brand donates 1% of all sales to domestic and international groups that work towards the preservation and restoration of the environment. Shop everything Patagonia Surf for men and women here! I am in the market for a new suit and I like the boy cut bottoms in the last image. These can be quite hard to find.